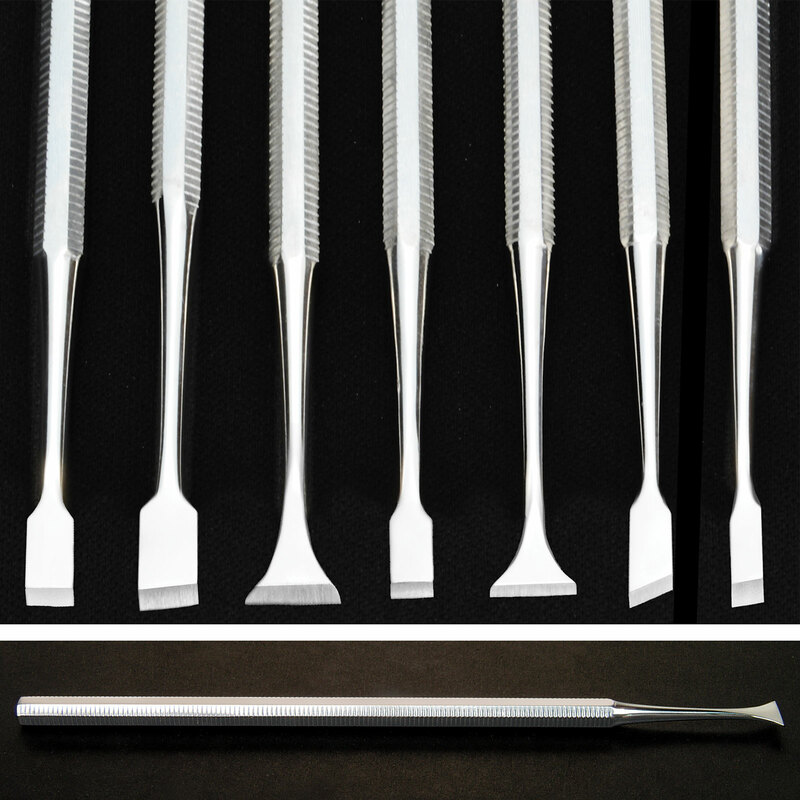 Set of 7 sharply honed miniature chisels for carving and shaping precise, intricate details into model surfaces. Made of surgical quality mirror-finish stainless steel with 6 inch long grooved octagonal handles for sure grip. Includes convenient storage wallet. Perfect for getting into tiny grooves and spaces when creating my bracelets. These are so sharp the shavings are removed in a smooth carve.